Pendulum Instruments is a supplier of solutions for calibration, measurement and analysis of time & frequency related parameters. The company’s success is based on technological intuition enabling to provide products which have always been ahead of the market’s offer. They perfectly respond to the same basic needs of precision, usability and operational comfort, however they constantly surprise and win customers’ trust with innovations and improved quality. The company’s mission is to deliver flawless solutions which simplify work and help reach perfection. We develop because we are able to foresee the challenges of the future and meet them with simple answers. It is our objective to keep to the cutting edge of technological trends and changes, however our vision of growth is also to build the brand representing trust, values, teamwork and responsibility for the environment. Pendulum Instruments’ achievements and reputation are founded on the people. Our company is not a large corporate structure. It naturally makes each member of our team a vital part of the structure, where everyone has a precise role but also a space to for independent agility. The quality of the team and cooperation is best proven by the global success and status of Pendulum Instruments. The brand stands for reliability and quality. Knowledge, trust, communication and agility make our personnel an integrated organism able to deliver the most demanding projects. The company’s daily functioning is determined by responsibility towards the environment (minimizing pollution and waste production). Organization of work and production is governed by “zero accident” policy and strict adherence to Health, Security and Environment standards. Key development principles emphasize equal importance of investment in both technical innovations and human capital. We aim at offering our employees optimum working conditions and perspectives for development. We want to share with them values which Pendulum Instruments is founded on: cooperation, community and respect for the environment. 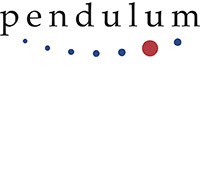 We would like to make Pendulum Instruments a place where everyone feels free to fulfill their personal potential.